I recently picked up a couple more of the sally hansen triple shine polishes. 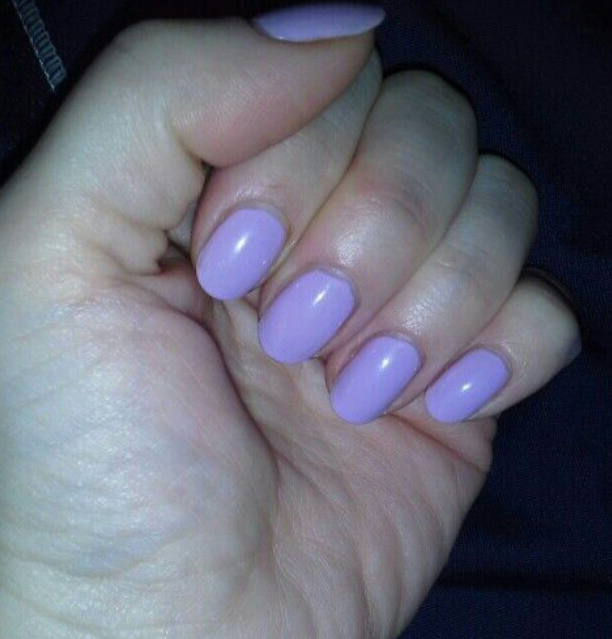 This one is vanity flare, a purple cream. 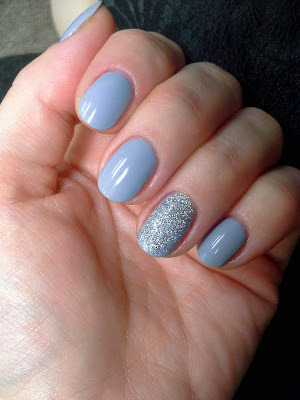 This is deep enough that it's perfect for winter. Applied smoothly and easily, I love these polishes. 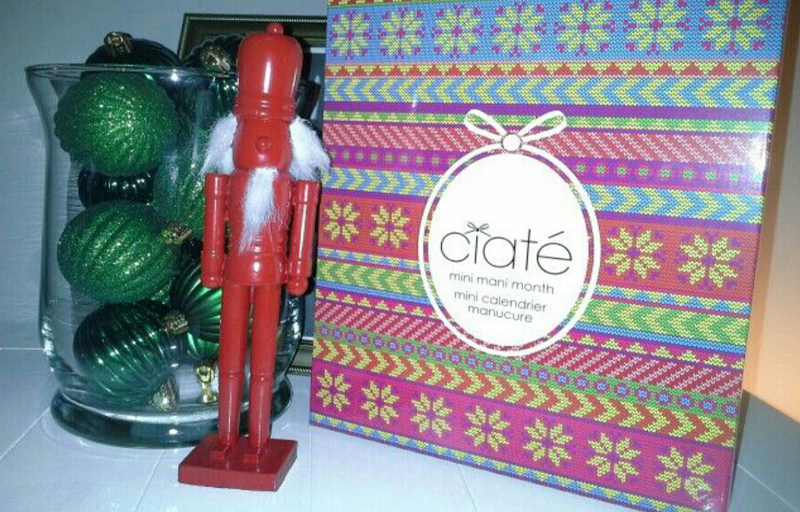 Today I've got two more ciate minis from my advent calendar to show you. First I painted my nails with chinchilla, which is a gorgeous grey blue cream. 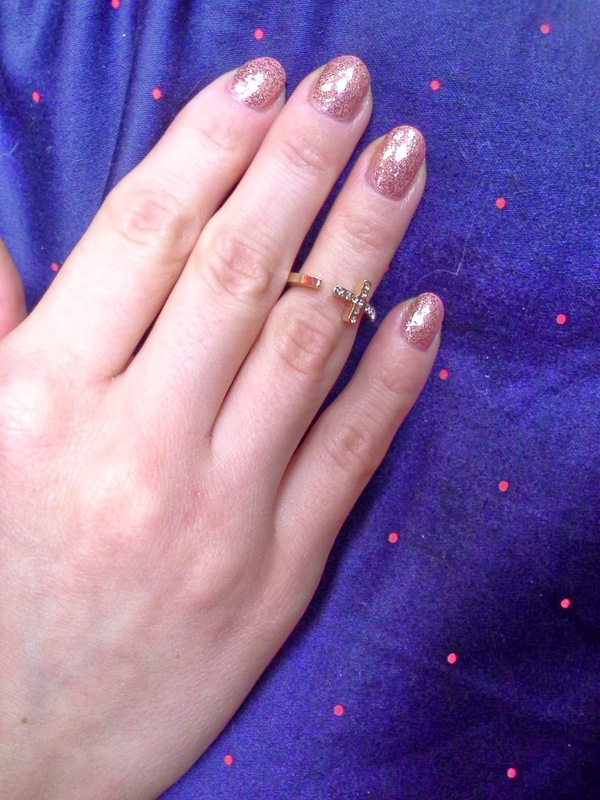 I topped my ring fingers with twinkle toes, a loose silver holographic glitter. 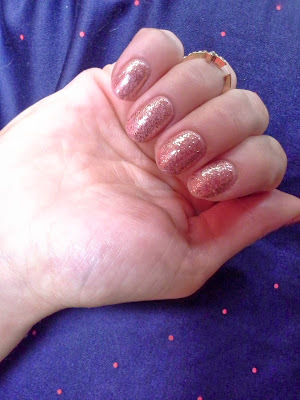 I used clear polish to adhere the glitter, then dusted the excess off with a fan brush after a few minutes of drying time. This advent calendar was a gift from my husband. It's so cute, theres a mini polish or topper behind each window, and each window also has a cute saying on the inside. 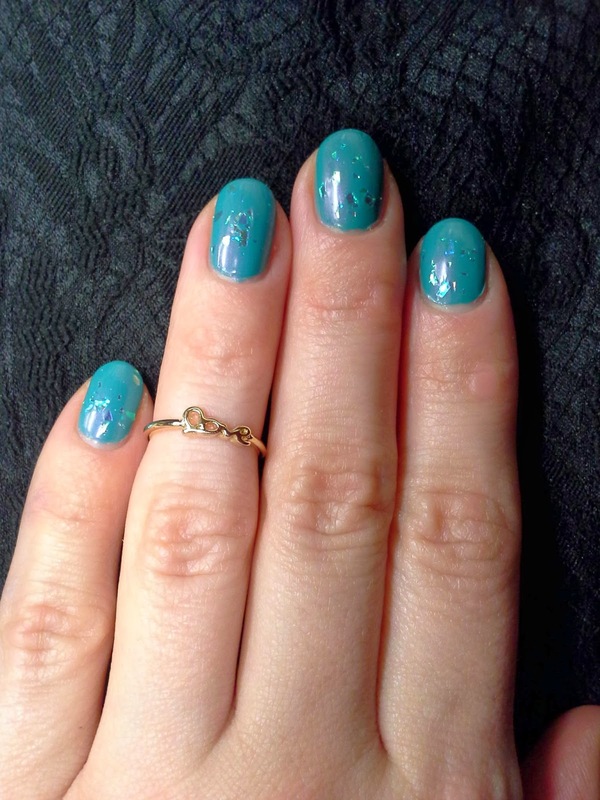 I've been putting the polishes back in even after using them, because I love how cute the whole setup is! Picked up a couple of polishes on black friday. The set of dazzle polishes came in a set from tj maxx. 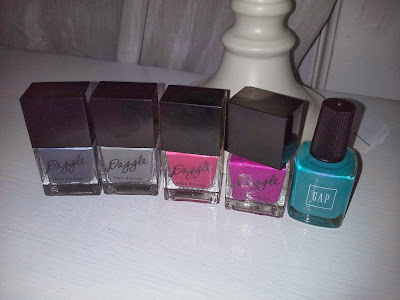 My fave from the haul is definitely the gap bright pool polish. I've been hearing about this alot lately, and when gap did 50% off the whole store, I went in to see if they had it. I brought it home for around $3! Stopped into gap on black friday to see if I could find the "elusive" bright pool, lol. The whole store was half off, so I scored it for $3! 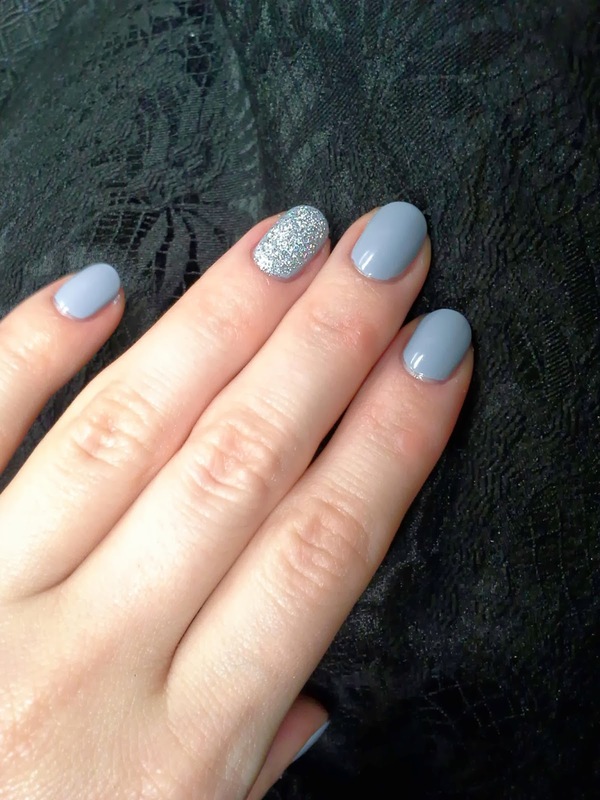 Topped it with ciate snow globe. 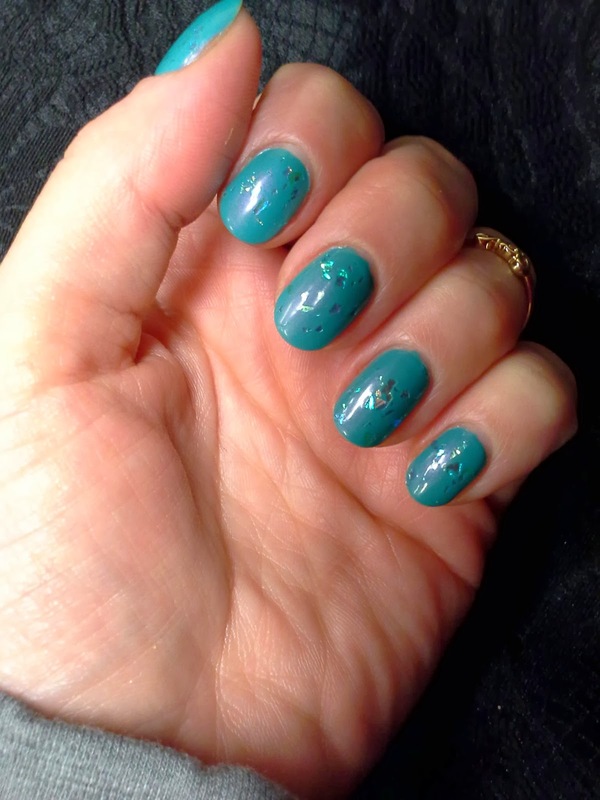 Here is one of the new sally hansen triple shines I picked up. 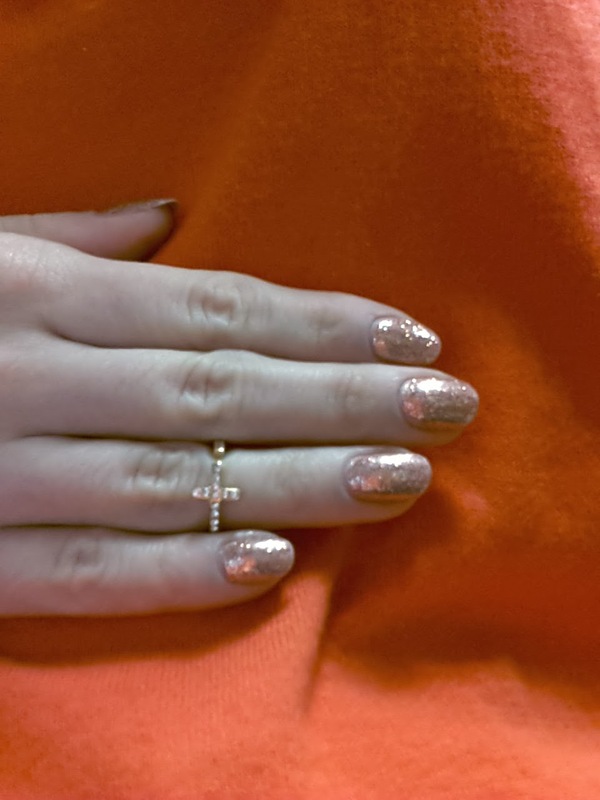 It's a gorgeous rose gold glitter named dream sequins. 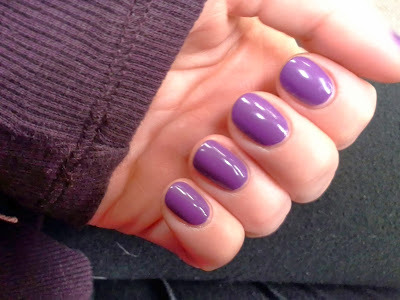 Base color is essie lion around.